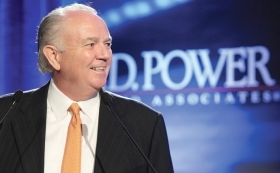 AutoNation CEO Mike Jackson told Friday's J.D. Power automotive conference that automakers need to stop the practice of stair-step incentives — offering dealers bonuses for volume they sell within a specific time period. "The sales targets are arbitrary," he said. "Any manufacturer who preaches customer satisfaction and practices stair-step incentives is a hypocrite!"